Nestled in northern Oaxaca near the border of Puebla sit the majestic Sierra Mazateca Mountains. Sparsely inhabited predominantly by descendants of the Mazateco, this lush and cool tropical environment is ideal for growing coffee, fruit, and sugarcane. 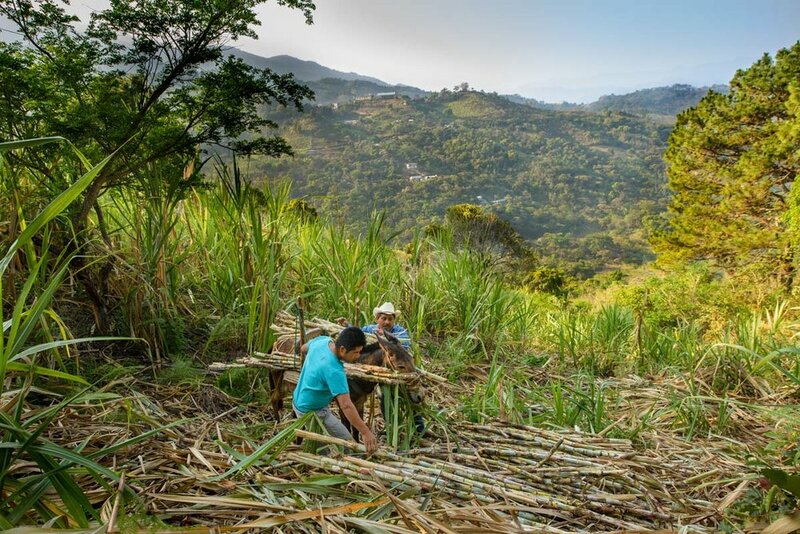 Remnants of the once-strong Mexican sugar industry, the sugarcane is used to make panela and is also commonly pressed, fermented, and distilled to make the aguardiente de caña (rum). Roughly 40 minutes east of Hautla de Jimenez, tucked within the steep, misty river canyons below the community of Rio Tuerto is the distillery, or trapiche, of Jose Luis, our producer for Paranubes. Jose Luis’ family has been making aguardiente for at least 3 generations, with his father and grandfather teaching him the trade at a very young age. For the past 35 years, he has been producing this rich, fragrant spirit as one of many means to provide for his family and we are honored to be working with him. In addition to fruit and four heirloom coffee varieties, Jose Luis grows four different types of sugar cane on his 14 hectares: Caña Dulce, Caña Morada/Negra, Caña Dura, and Caña Amarilla/Criolla. His aguardiente batches are made from predominantly Caña Criolla, but inevitably have a blend of different cane types. The cane is grown organically and harvested annually. One hectare provides enough cane to produce about 2,500 liters annually. When the cane is mature and ready for harvest it is cut and cleaned in the field and often carried to the road by burro. The cane is then driven to the trapiche, crushed by a mechanical press and the pulp filtered out, leaving 100% pure cane juice. That juice is gravity-fed to one of two, 1,100-liter fermentation vats or tinas made out of pine wood. One of the most interesting things about Jose Luis’ method is that he only distills half of a single fermentation vat every morning and refills it that afternoon. Because the liquid that was left in the tina was still actively fermenting, the new liquid is inoculated by the remaining tepache (must) and the fermentation in the tina never stops. As such, he maintains a rolling fermentation and only empties it every four months! No water, yeast or additives are put into the liquid with the exception mezquite. When Jose Luis begins a new fermentation batch, he boils two handfuls of mesquite bark in water and pitches the mixture into the fermentation vat, utilizing the enzymes released into the tincture to help the fermentation. These trees are often up to 40 years old and have extremely hard cores used for construction. The bark is added only when beginning the fermentation process and never removed. If no bark is immediately available, Jose Luis sometimes adds the skin from two pineapples in the same manner. After a 48-hour fermentation period, the fermented cane juice is then fed into Jose Luis’ copper column still. The boiler pot of the still holds 550 liters of tepache and is buried underground for insulation directly above a fire that is fueled completely by spent cane fiber. There are no temperature gauges or controls, but rather distillation temperature is controlled by hand. As the tepache heats and steams through the still it passes through a series of six copper plates, condensing six times before leaving the column and passing into the condensing coil. The initial distilled spirit (heads) comes off the still at about 86% ABV and continues until the aguardiente is falling at around 19% ABV. Unlike mezcal, the heads are not discarded, as they are not high in methanol due to the lack of chlorophyll in the fermentation. Jose Luis never adds any water to his distillate to lower the proof, preferring to blend higher and lower proof aguardiente. Different communities in the area drink aguardiente at different grades. For example, in nearby Santa Cruz, they drink it at 41.4% ABV, while in San Jerónimo they drink it at 60% ABV. 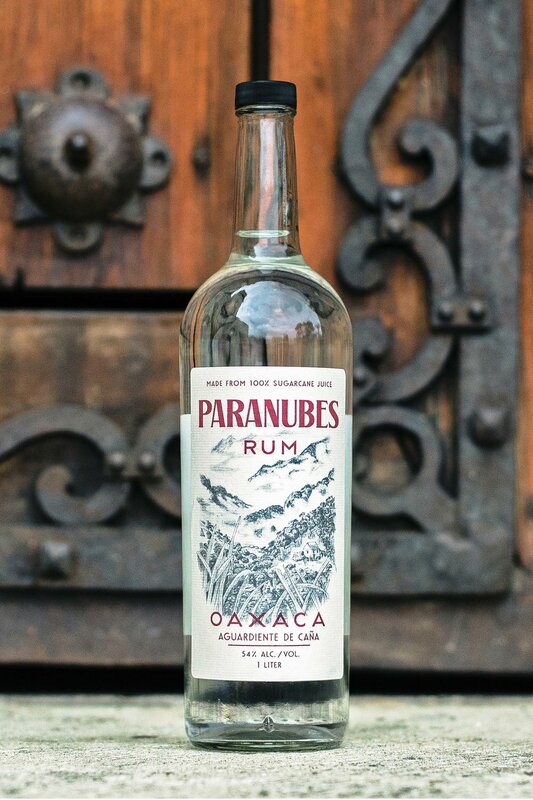 Paranubes Rum is distilled to proof at 54% ABV which is where we as a team felt it struck its balance of flavor and texture and was most true to the cane. Jose Luis is careful not to distill too quickly for a balanced smooth taste. His rate of distillation is approximately 35 liters every two hours. He can produce up to 85 liters of aguardiente daily. Photos by Carlos R Cervantes unless noted • All Photos and Information © Paranubes Rum 2017 • All rights reserved.